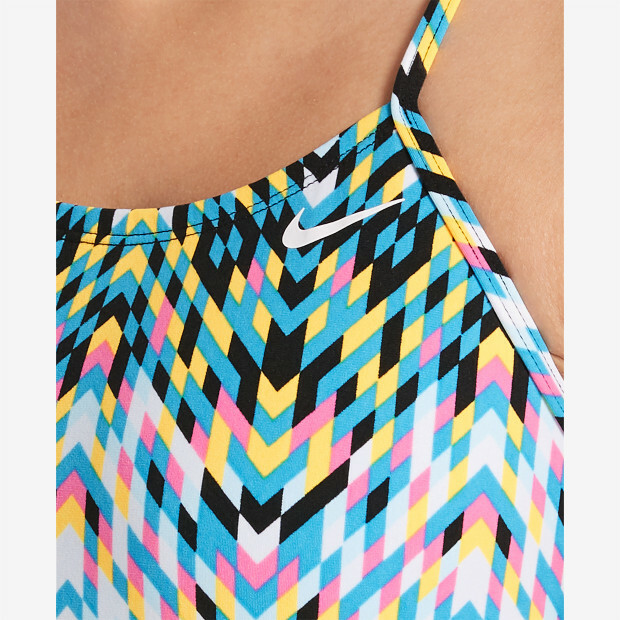 Nike Swim Women's Digi Arrow Cut-Out One-Piece swimsuit is designed with an eye-catching colorful design and lighter coverage. It features high leg openings and minimal coverage on the back for a greater range of motion. Slim straps, light bust support and flat seams add to the comfort of this athletic swimsuit.